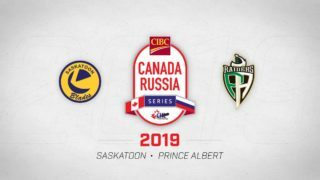 Tonight – The Saskatoon Blades return to Moose Jaw for their 3rd meeting of the season with the Warriors, which also happens to be the 3rd meeting in seven days between the two division rivals. So far the season series is split 1-1 with the home team coming out on top each time. This is the last time the Blades face the Warriors in 2017 as they don’t meet again until January 21st, 2018. The opponent – The Warriors have only lost once in their last 9 games, and are nearly perfect in their own barn with a 10-1 record at home. 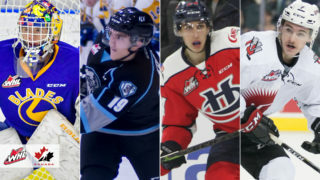 Both Jayden Halbgewachs and Brayden Burke sit inside the league’s top ten scorers with 38 and 41 points respectively, both appearing in all 23 games this season. 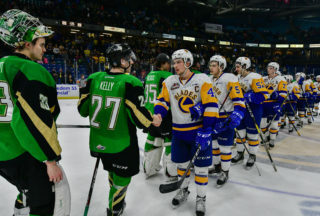 For Saskatoon – The Blades shouldn’t be worried heading into this one, having scored 8 goals in two games against the Warriors. 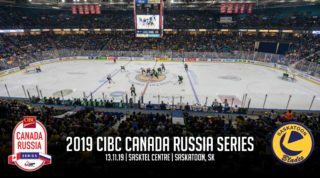 The Blades have shown they can beat the top dogs and were tied heading into the 3rd period in Moose Jaw on Saturday. They may need the goaltender- whoever that may be tonight as Ryan Kubic is sidelined with an injury- to steal a few saves. Don’t give the Warriors more than 3 chances on the PP… and make good use on their own man advantage just like last game when the Blades went 2/3 on the PP. The Lineup – The Blades blue line will stay unchanged for tonight. Seth Bafaro has completed his 4 game suspension but has been hit by the flu bug that has been slowly making it’s way through the roster. Ryan Kubic is sidelined for the next so it will either be Joel Grzybowski, who was recalled yesterday, or Nolan Maier in goal tonight. 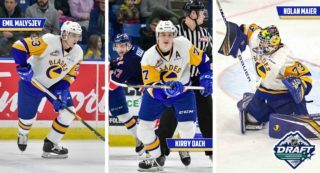 Up front, the Blades remain mostly healthy with two extra forwards. Arjun Atwal and Brandon Machado sat out last game.